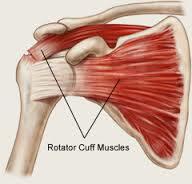 I have made several references to my shoulder operation but not explained it to you in detail. I needed to stabilize my shoulder after I dislocated it at the end of February 2014. I did a sort of Dellboy imitation and crashed into a radiator not that I remember a great deal about it. There was no one else to blame either. Hemel emergency care put my arm back into its socket. After a few simple physiotherapy sessions I was discharged. Then over the next month or two if I moved my arm into certain positions I could feel the shoulder sort of popping out and crunching back into position. In May I was doing a talk for Professor Giovannoni and he said I needed some surgery to make the shoulder stable. He suggested that I get a referral from my doctor. Yup, I really had trashed my shoulder. To cut a long story short I saw a consultant at a BUPA hospital called ‘The Chilterns in Great Missenden. I had an MRI scan and a date for the operation was fixed. I rolled up at the hospital on the agreed date ready for the operation but it had been cancelled. No one had bothered to tell me. Grrrrr. Someone pulled out all the stops and got me in a week later, 28th August. The operation was on my left shoulder and I am left handed, I cannot tell you anything about it except that when I came round I was very confused and disorientated so I was kept in overnight. My arm was in a very serious sling that effectively bound it to my body. I was discharged the following morning. It took me something like 5 days to get over the anesthetic, not a lot of fun. I thought it was going to be a quick 40 minute slice and dice operation; no it was about 2 1/2 hours, that explains a lot. There is an eight inch scar where they made the incision to repair the rotator cuff and fix all the other damage. I have had to learn quite a few skills. Eating with a spoon or fork in my right hand. Walking with one arm in a sling, it’s not easy when your balance is complete rubbish. Each day I am able to use my left arm a bit more but it is still in a sling. After 5 weeks I can get dressed on my own, even do up my shoe laces. I can now type with both hands, using only one hand was a labour of love. After 5 weeks I can use a knife with my left hand but using a spoon with my left hand must wait for a few more days. So in a nutshell there we have it. I suspect that it will not be until December at the earliest before things return to normal, well my version of normal. At least I have resumed my life, the quality is improving all the time. In future I am going to be much more careful and avoid any more falls. The thought of breaking a bone has no appeal whatsoever. If Gavin Giovannoni had not told me to go to my doctor how long might it have been until the problem was recognized.